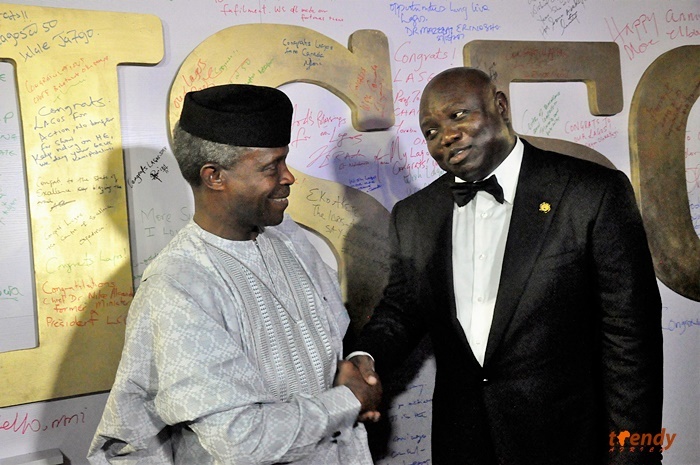 The celebrations marking the 50th anniversary of Lagos Nigeria climaxed with a special Children’s Day event on May 27th, while the climax of the day was a special anniversary Gala hosted by the State Government and with the Acting President of Nigeria, Professor Yemi Osinbajo in attendance. The last 50 days of the one year celebration commenced on April 8, 2017 with the symbolic appearance of the Three Wise Men in some parts of the state, offering prayers and gifts to citizens. This was followed with a popular Musical Drama tagged ‘Wakaa! The Musical’. Other programmes that have featured so far include FELA! The Broadway Musical concert; JAZZ meets Fashion; Lagos Loves The Cinema, held in the five divisions across the state; Lagos Laughs and Ibile Comedy competition. 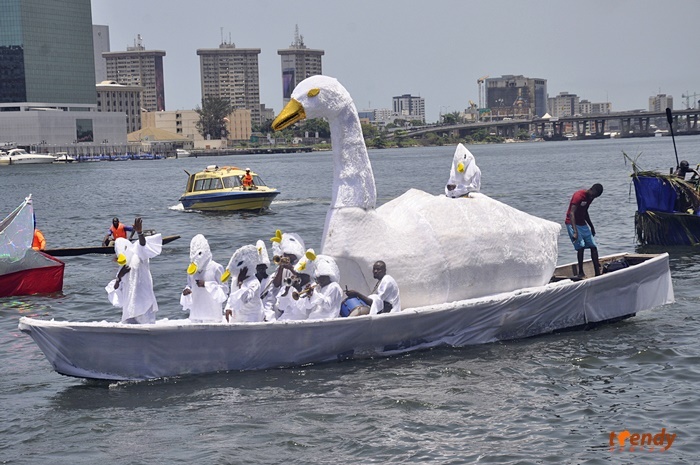 A Lagos Carnival/Parade of colours also held in various centres across the state. On May 18th, the State Judiciary held a special session to celebrate the state at the Igbosere High Court Foyer. 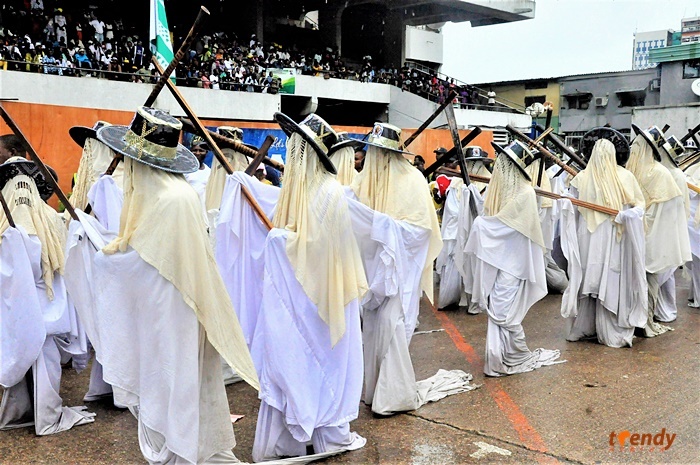 Cultural heritage was on full display the Eyo festival which held on May 20 at the Tafawa Balewa Square, Lagos. Other events included a Science, Arts and Crafts Exhibition by Junior and Senior Secondary Schools in the state, a special State Executive Council Session, and finals of the Literary and Debating competition for all public schools. Ahead of the celebration of 50 years of Lagos State in 2017, Governor Akinwunmi Ambode appointed Nobel Laureate Prof. Wole Soyinka alongside Mr. Rasheed Gbadamosi to both head the Lagos at 50 planning committee. Members of the Lagos@50 Planning Committee include Hon. Habeeb Fasinro, Chief Olawale Cole, Mrs. Sarah Boulos, Mr. Abimbola Obafunwa, Prof (Mrs) Senapon Bakare, Mrs. Chika Balogun, Mr. Folarin Coker, Prof. Ademola Abass, Bolanle Austen Peter and Mrs Olufunmilayo Balogun as secretary. The Lagos State Government says more than N1 billion had been raised to fund the various activities during the celebrations.